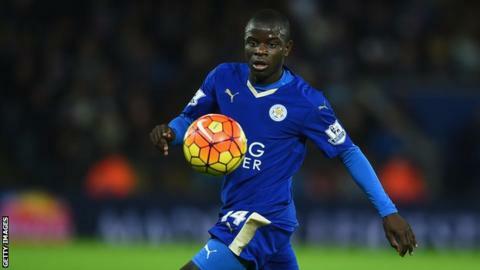 Leicester midfielder N'Golo Kante will miss the Premier League leaders' next two games after injuring a hamstring. Kante, who was injured during Saturday's 1-0 win over Norwich, will miss Tuesday's home game with West Brom and the trip to Watford on Saturday. The 24-year-old, who joined the club in the summer, has played in every league game so far this season. Boss Claudio Ranieri said he was confident Andy King would be an able deputy for the Frenchman.